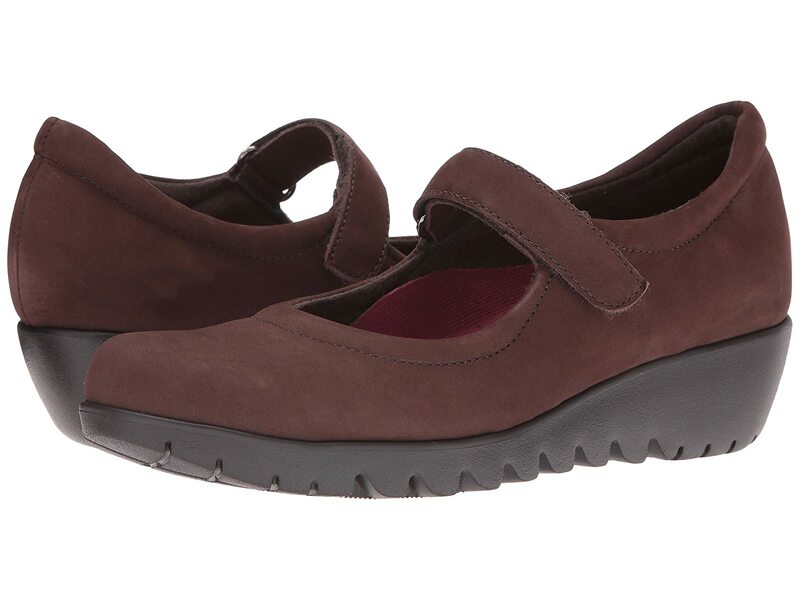 The versatile Pia provides the perfect combination of comfort and style for the modern woman. Rich water-resistant suede uppers with a round toe. Offers a lightly cushioned collar and instep. Features a mary jane strap with a hook-and-loop fastener for adjustability. A flexible forefoot and riveted shank offer added support. Modest wedge and platform adds a touch of height.